Cleveland Browns defensive back Terrance Mitchell (39) warms up prior to a game at FirstEnergy Stadium in Cleveland, Ohio. 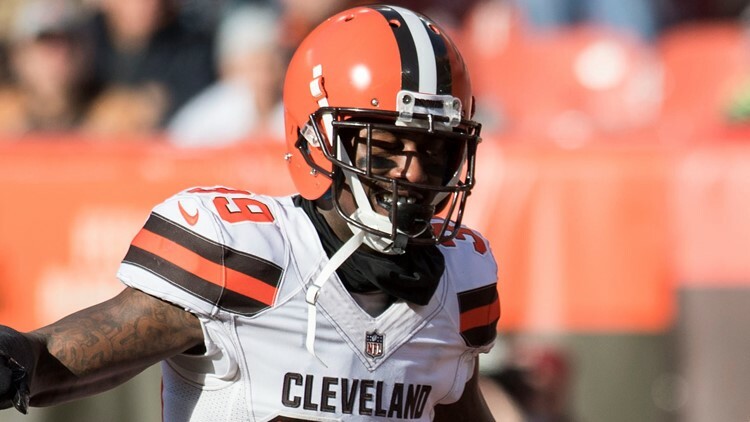 Cornerback Terrance Mitchell has been named the Cleveland Browns’ 2018 Ed Block Courage Award winner. 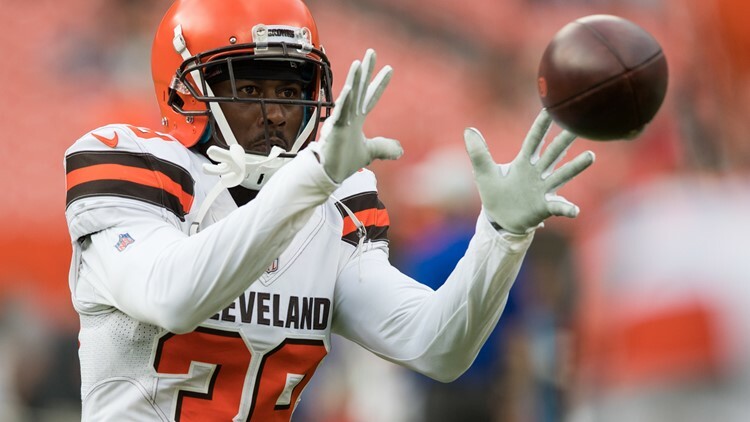 Cornerback Terrance Mitchell spent eight weeks on injured reserve while he nursed a broken arm suffered in a 45-42 loss to the Oakland Raiders at the Oakland-Alameda County Coliseum in Week 4 and did so with the mindset of returning to the Cleveland Browns’ active roster. And that is exactly what Mitchell did last week. Mitchell made his return to the field in Sunday’s 26-20 win over the Carolina Panthers at FirstEnergy Stadium, and because of his commitment to the Browns, he was voted the team’s 2018 Ed Block Courage Award winner. “Just to have the love from my teammates and for them to vote for me to get the award, that is a blessing,” Mitchell said in a release announcing the move. “I love my teammates. The injury was a test of faith. There are always going to be ups and downs. Cleveland Browns cornerback Terrance Mitchell (39) pursues a tackle against the Carolina Panthers during the first quarter at FirstEnergy Stadium in Cleveland, Ohio. In the first four games of the season with the Browns, Mitchell registered 19 total tackles, including 18 solo stops and one assist and defended three passes. Signed by the Browns as an unrestricted free agent back in March, Mitchell seemed especially adept at forcing turnovers, as he intercepted one pass and was among the league leaders with two forced fumbles and one recovery. And Mitchell appeared to not miss a beat upon his return, as he registered five total tackles, including four solo stops and one assist, to rank tied for fourth on the team in tackles against the Panthers. 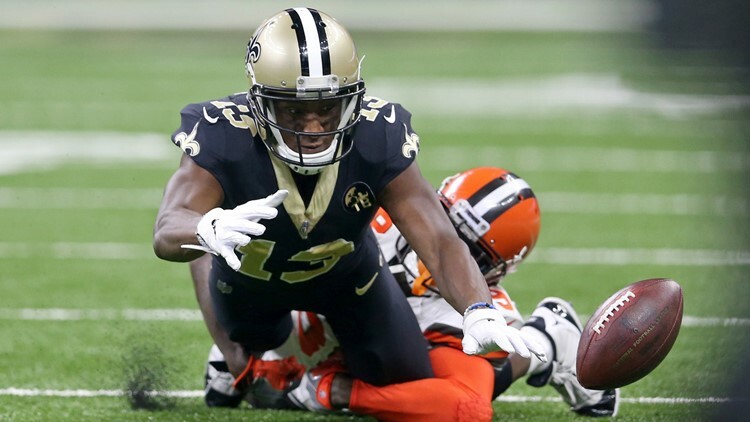 New Orleans Saints wide receiver Michael Thomas (13) fumbles the ball after being hit by Cleveland Browns defensive back Terrance Mitchell (39) in the first quarter at Mercedes-Benz Superdome in New Orleans, Louisiana. In addition to his productivity on the field, Mitchell has been involved in several charitable endeavors, including a recent visit to Toni Morrison Elementary School as the Cleveland Browns Foundation launched an initiative with the Lorain City School District to provide clothing to children in need, while promoting the importance of attendance in school. Also, Mitchell attended the Taste of the Browns event in September and helped raise both awareness and funds for the Greater Cleveland Food Bank. Mitchell will be presented with the Ed Block Courage Award at tonight’s annual Providence House “Deck the House” event at FirstEnergy Stadium.